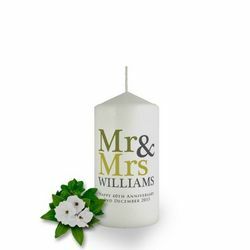 Our candles are quite simply wonderfully unique gifts and at Brinley Williams we pride ourselves on creating beautiful designs for every momentous event. 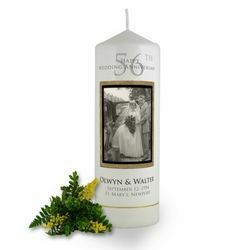 Here you will find designs covering anniversaries, weddings, christening's & baptisms as well as Naming days and Birthdays with a host of other occasions in between. 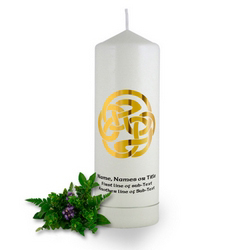 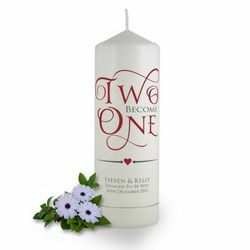 And that's not all as if you fancy creating your own candle design we can help you achieve that as well. All our personalised designs are available in 8 different colours to suit every taste and can be placed on a number of different colour & size candles however we do try to be flexible and so if you would like your personalised candles in a particular colour please do get in contact and we will do our best to create a colour match for you. We also get a lot of requests for personalisations in different languages, which so far we have been able to provide, so if you do have any special criteria then please just drop us a line and we will do our best to accommodate you. 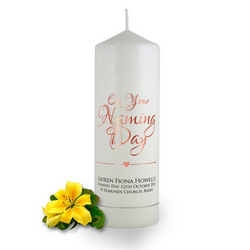 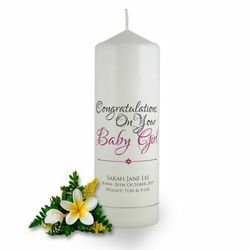 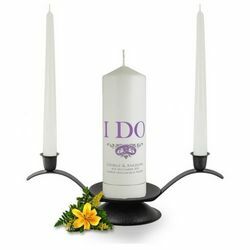 Personalised candles also make great gift for any special occasion and is sure to provide that wow factor and we have dedicated weddings candles, personalised anniversary candles, personalised birthday candles, personalised christening candles, personalised baptism candles & personalised namings day candles. 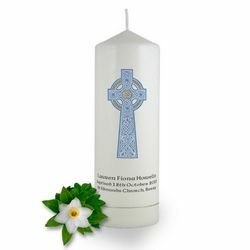 Other areas which make suitable gifts for our products are remembrance candles for weddings, wedding favours, memory candles for wedding ceremony, absence candles for weddings, personalized candles for christenings, personalised christening/baptism candles, made to order candles, personalized unity wedding candles and we will be soon adding a range of wedding soy candle favors so follow us on facebook to ensure you are kept up to date with our new products.